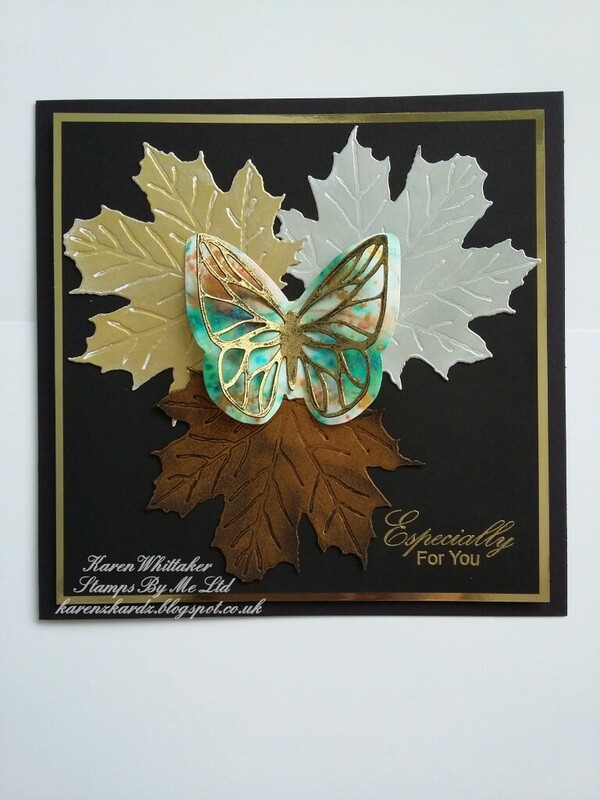 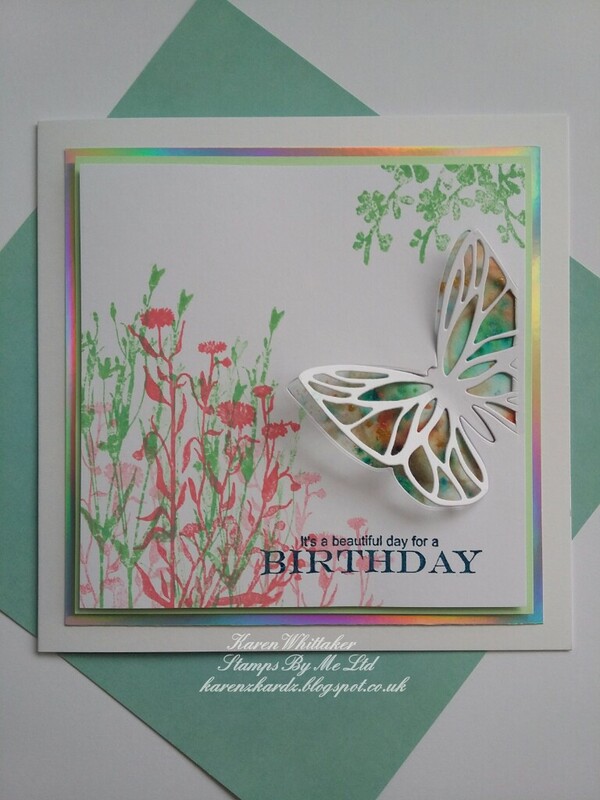 The inner die from the Butterfly die set was used to partially cut out this gorgeous butterfly. 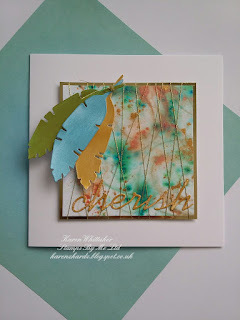 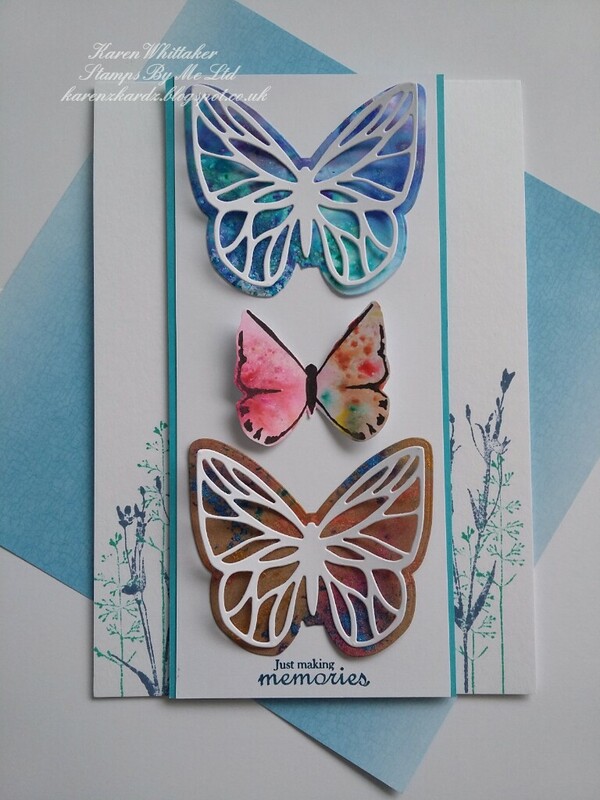 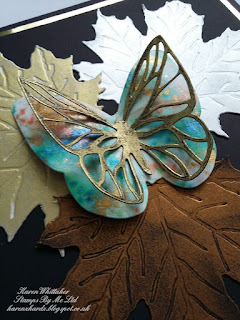 The Butterfly body was cut out, using the Butterfly outline die, from a background made from Pixie Powders. 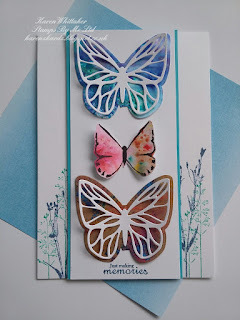 I hope you have enjoyed looking through today's post and I hope you love these dies and stamps as much as I do.